Alice Cooper – award winner and Jesus Christ Superstar actor! Mosh December 10, 2017 News No Comments on Alice Cooper – award winner and Jesus Christ Superstar actor! A couple of stories popped through this week about one of rock’s coolest gentlemen, Sir Alice of Cooper. First off, Alice scooped up the award for Best International Artist at the 19th annual SSE Scottish Music Awards held in Glasgow on Saturday 2nd December at a Nordoff Robbins Fundraiser. Thank you, this is great. You have to survive this business long enough and the rock ‘n’ roll business is not the easiest thing… We’ve been doing it 50 years and keeping the quality of the show and music up really is the whole trick to doing it. In my case though they do cut my head off every night so it’s a matter of survival! Thanks very much! The awards are held each year to raise money for music charity Nordoff Robbins Scotland. This year they raised over £148,000 for the music therapy charity. 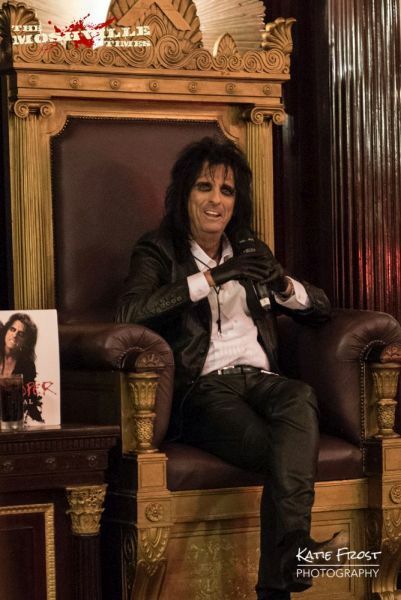 In addition, Alice has been cast as the flamboyant King Herod in NBC’s staged rock concert of Jesus Christ Superstar Live!, to be aired Easter Sunday, April 1. Also joining the production is esteemed British theatre director David Leveaux, a five-time Tony Award nominee who has directed some of the most noteworthy productions in the U.K. and on Broadway, including the 2003 revival of Nine, starring Antonio Banderas, and 2008’s revival of Cyrano de Bergerac, starring Kevin Kline and Jennifer Garner. Alice Cooper, whose theatricality is the stuff of legend, is the perfect rock star to play Herod in our live production. Andrew Lloyd Webber and Tim Rice wrote a show-stopping musical number for Herod and we all look forward to the ‘King of Shock Rock’ taking on the King of Judea. As the casting for Superstar ramps up, we can feel the excitement building for this brand new concert experience of what has long been considered the original rock musical.